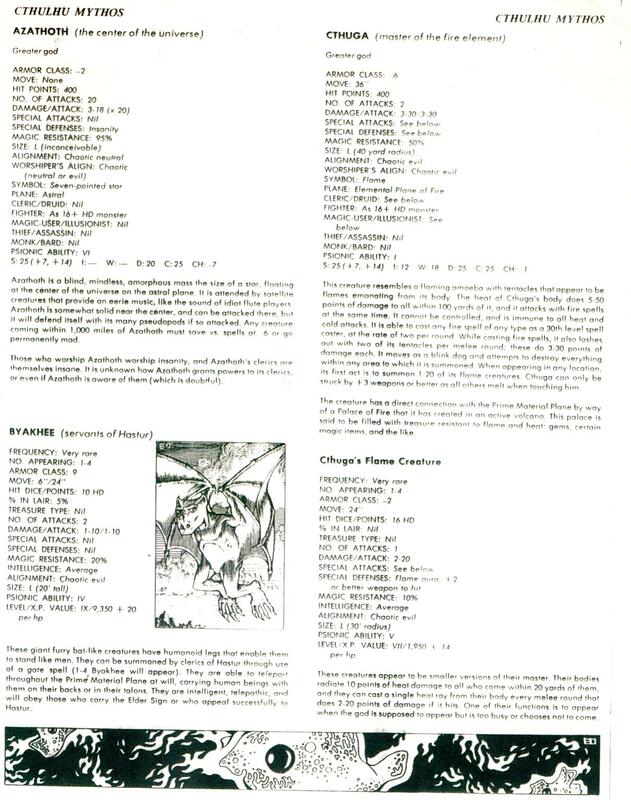 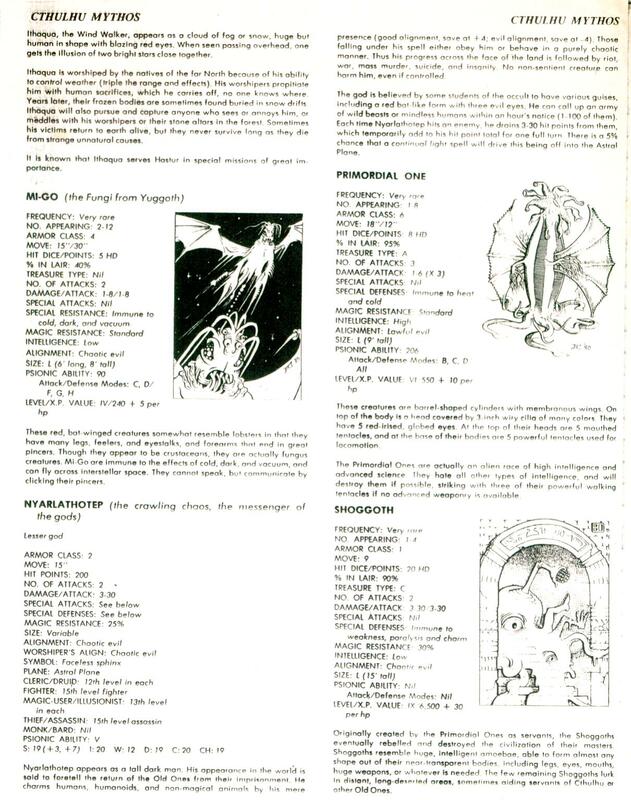 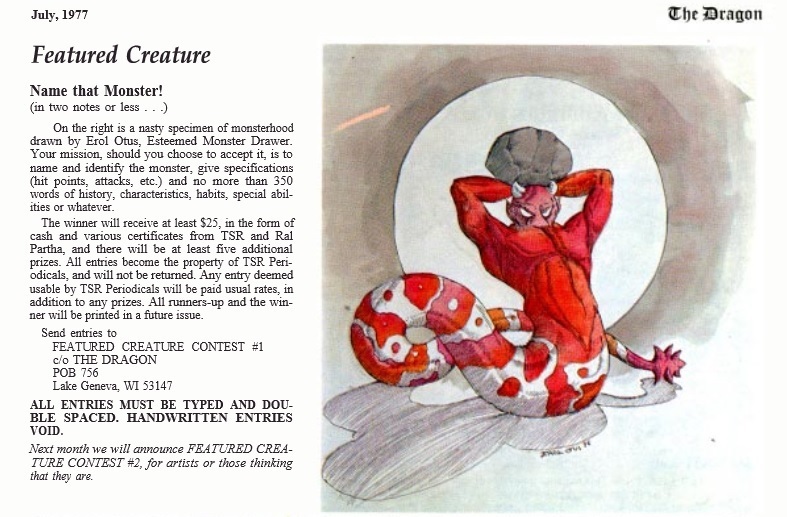 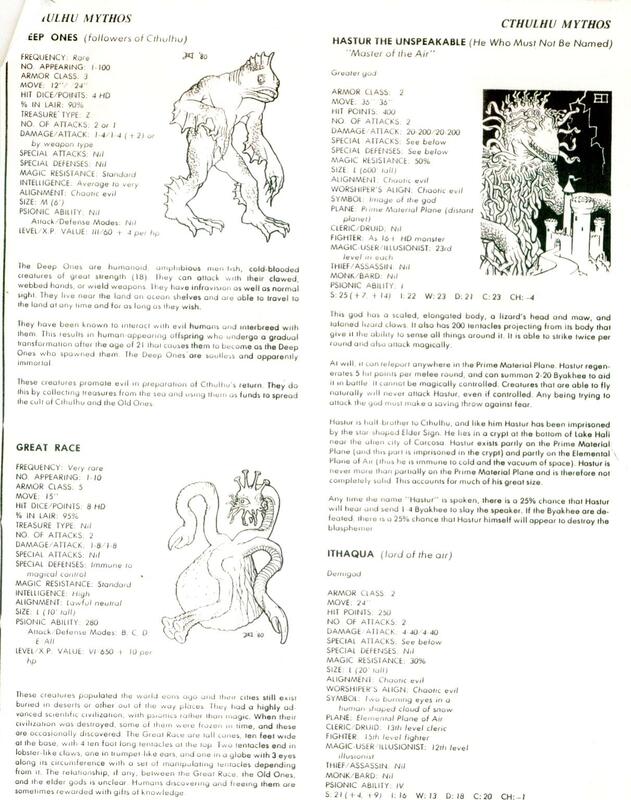 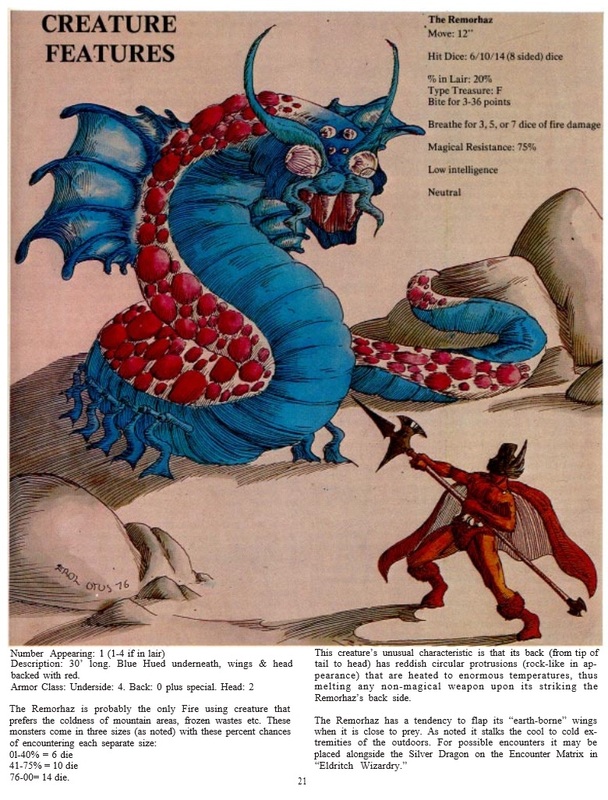 Compare the entries and stats here to the “Lovecraftian Mythos” article in The Dragon. 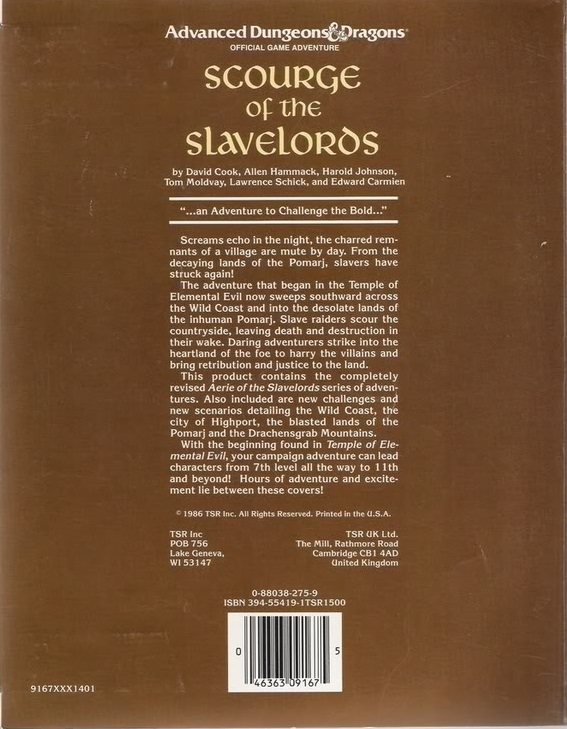 Despite J. Eric Holmes blowing off a reader’s suggestion to raise the hit points of the Great Old Ones, that’s exactly what’s happened—and a number of other criticisms have been addressed as well. 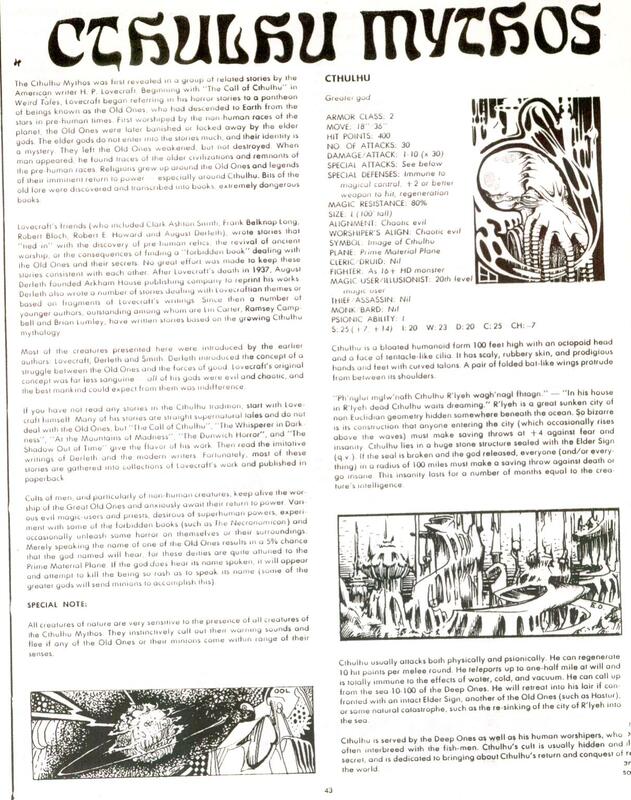 My favorite part of the Azathoth entry—about the universe collapsing and all life being destroyed in the event of the creator’s death—has been removed, and instead of being “the creator of the universe,” Azathoth is now “the center of the universe.” The idea is to make the gods appropriately awesome and intimidating while also making them approachable from a role-playing perspective. 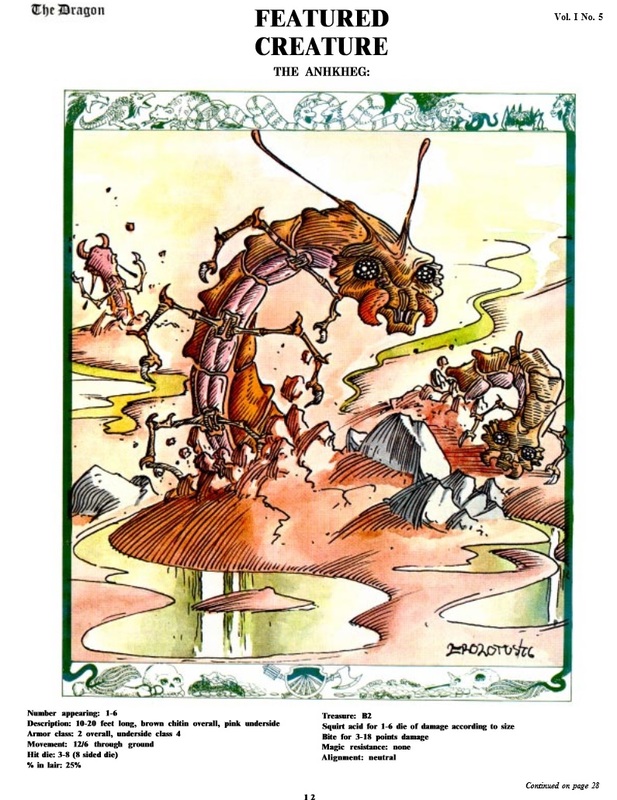 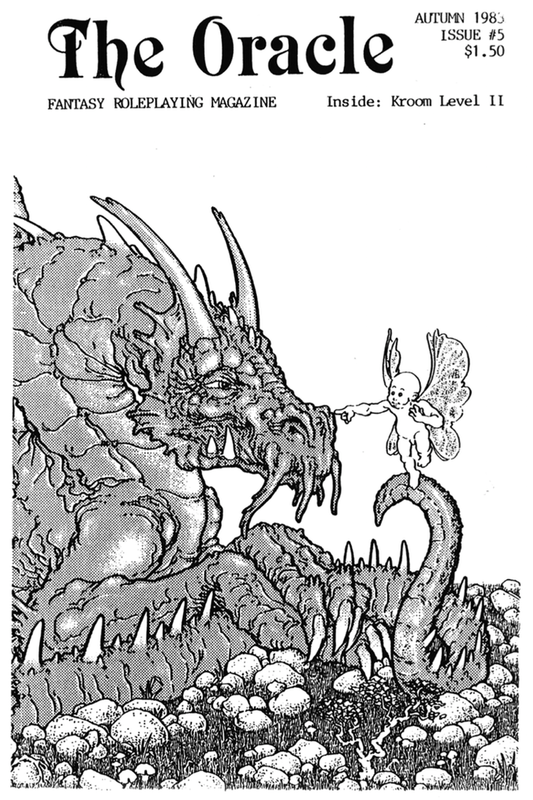 The illustrations are by Erol Otus, who, in my opinion, is the definitive early D&D artist and one of the greatest fantasy artists of all time. 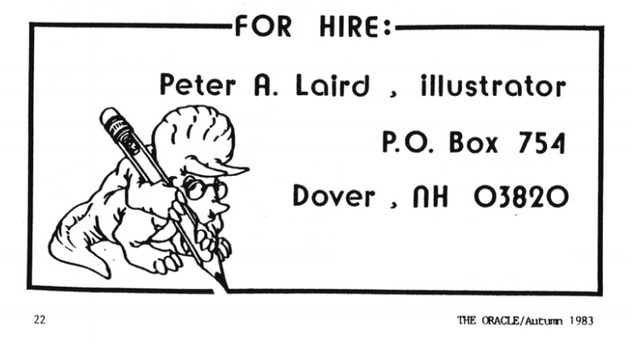 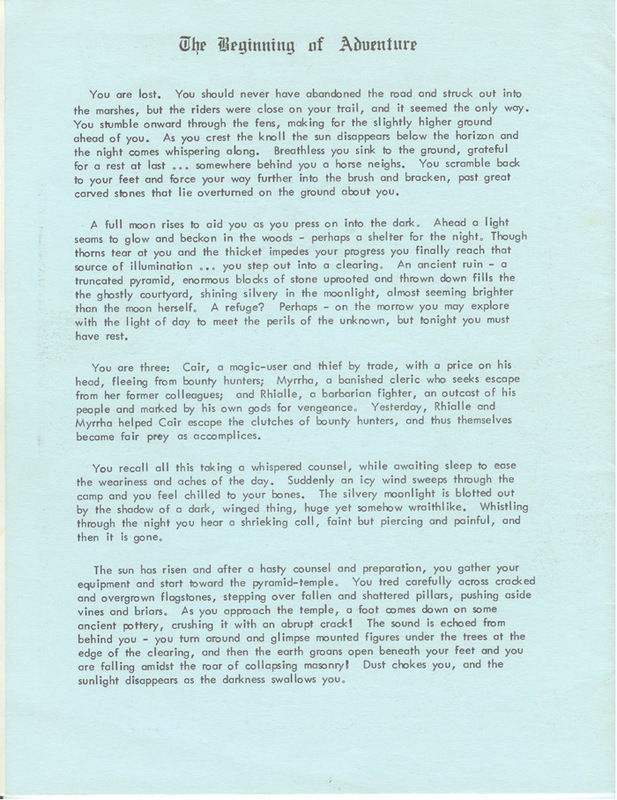 Lovecraft’s vibe suited him perfectly, and I wish he’d done—or would do—a portfolio or an illustrated edition. 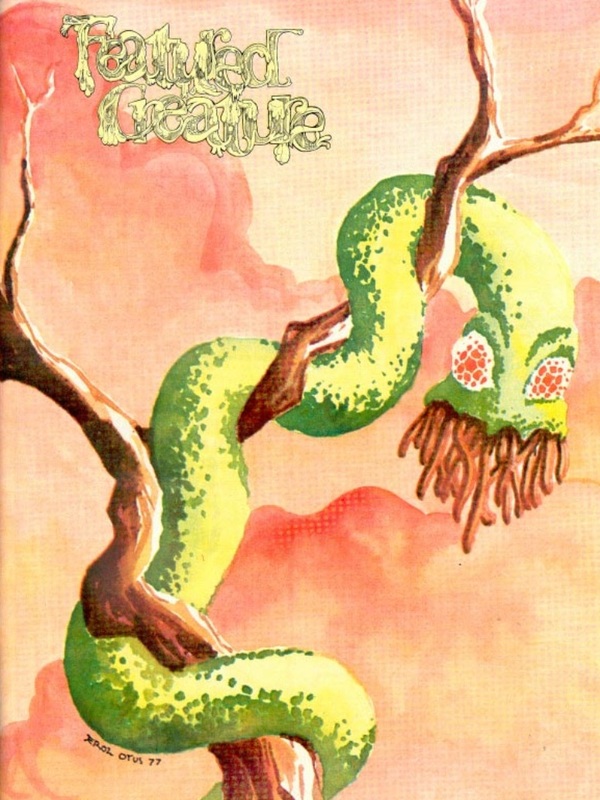 His smug Cthulhu is what I see when the name is invoked, and all the arcane denizens and their haunts shimmer with high strangeness and psychedelic mania. 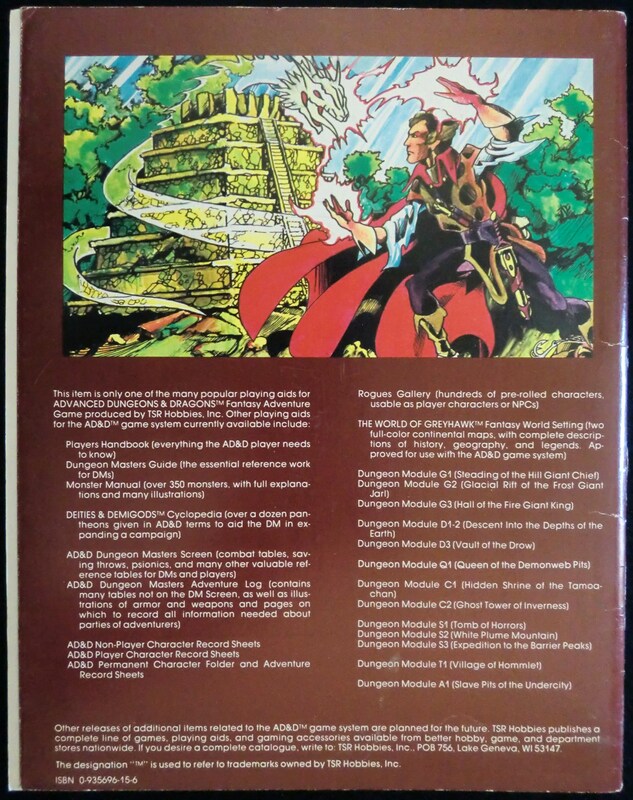 To admire more Otus art from Deities & Demigods, visit The Erol Otus Shrine. 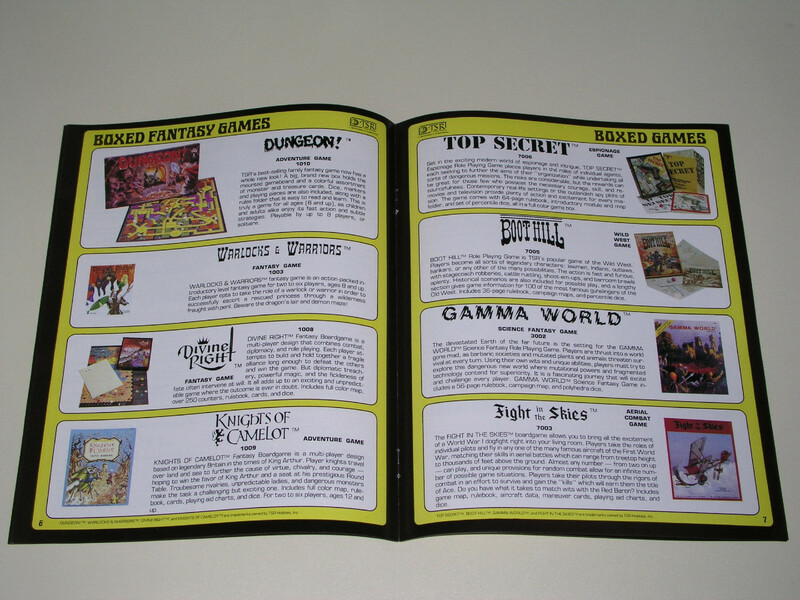 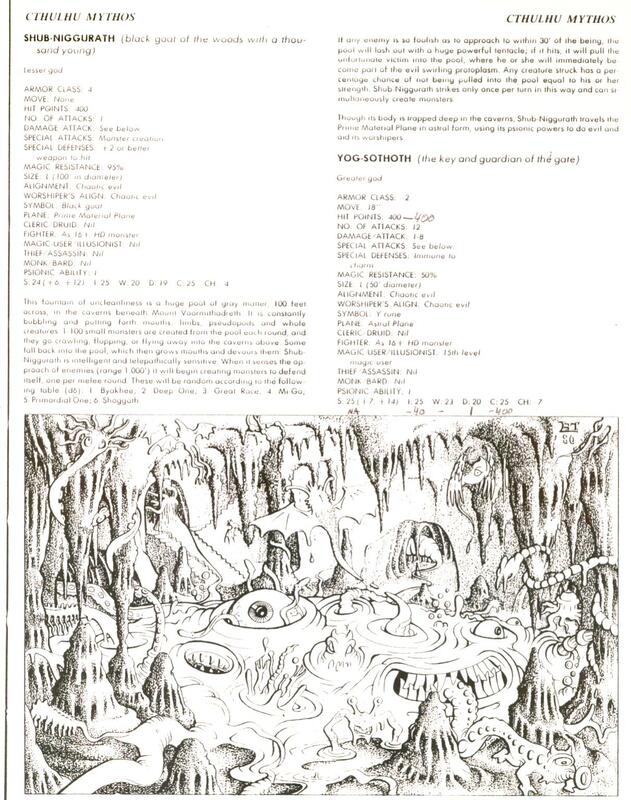 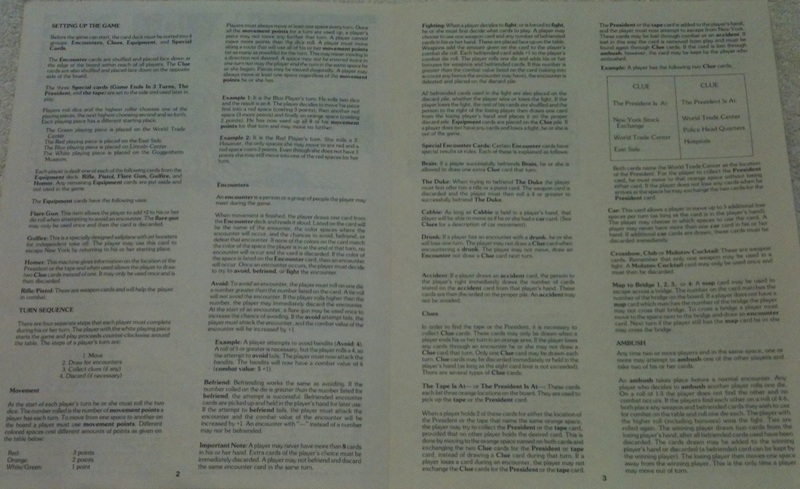 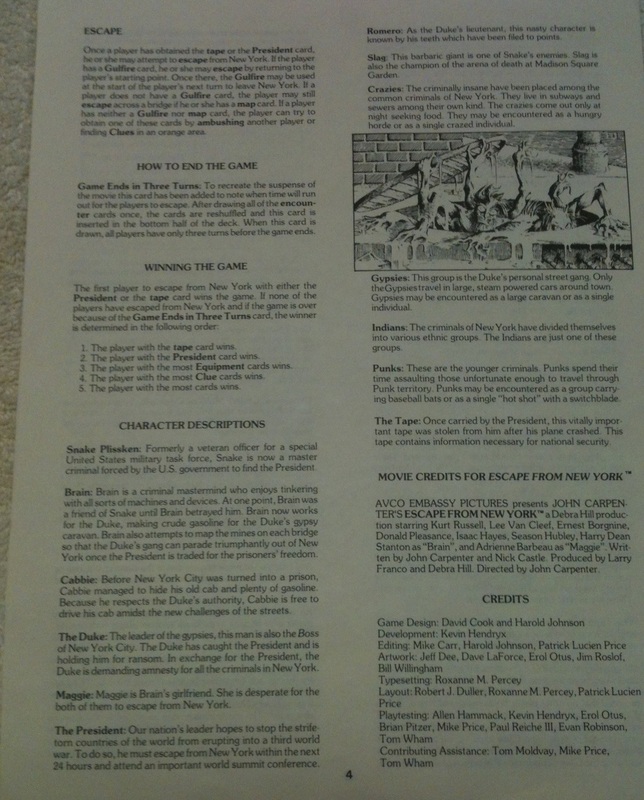 You can thumb through a PDF of the whole catalog at Recycled Thoughts from a Retro Gamer. 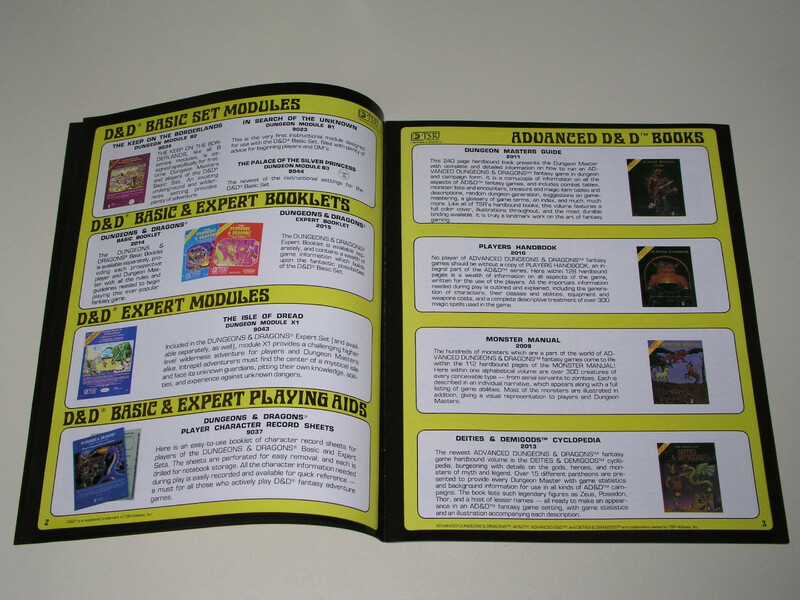 You can also see the complete catalog at Mikey Walters’ Flickr. 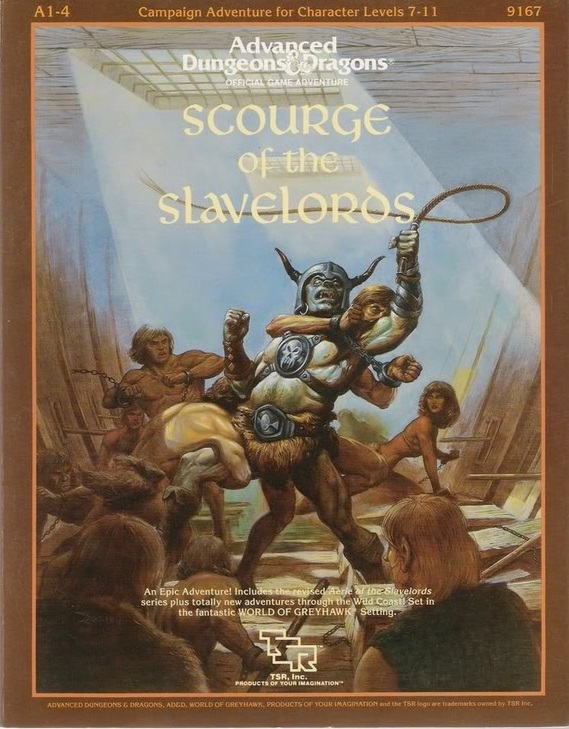 The images above are from eBay, where you can usually find a copy for $5 – $10. 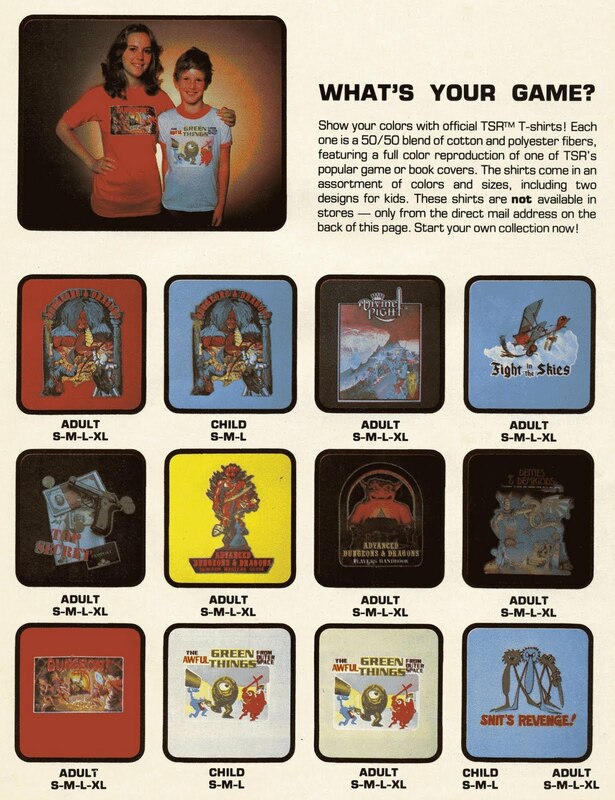 The shirts are very cool, but apparently not very well-made. 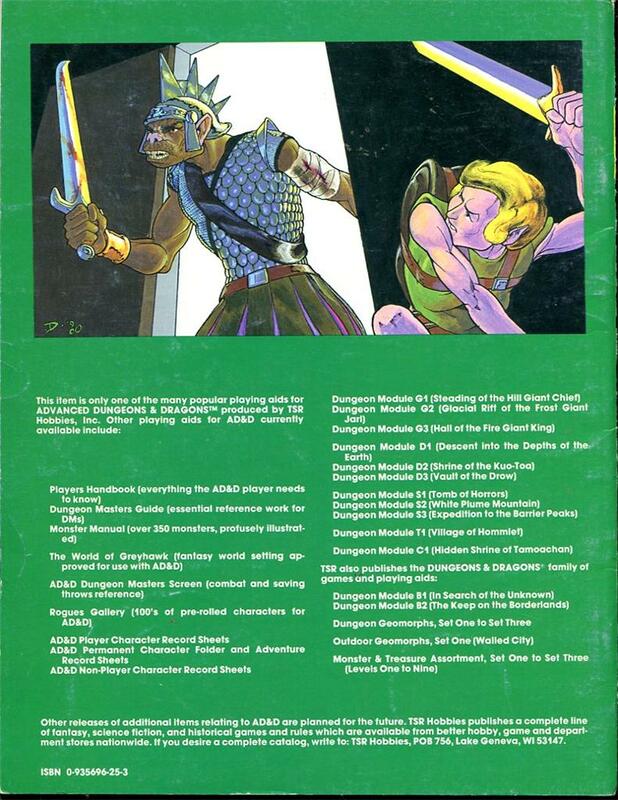 Here they are, courtesy of Grognardia. 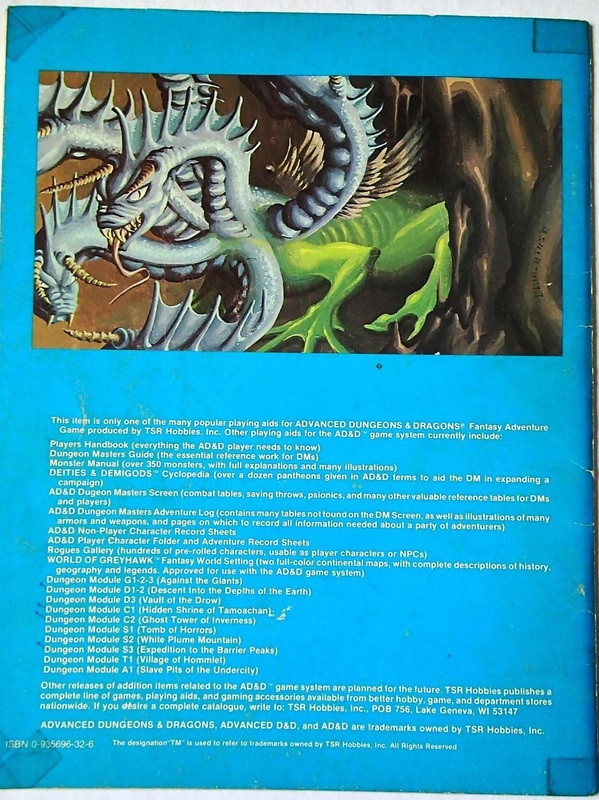 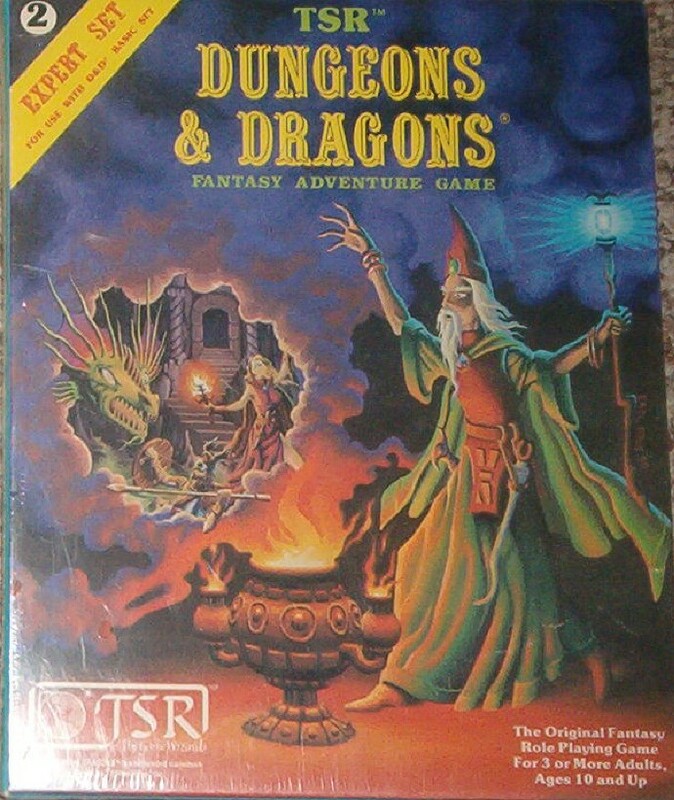 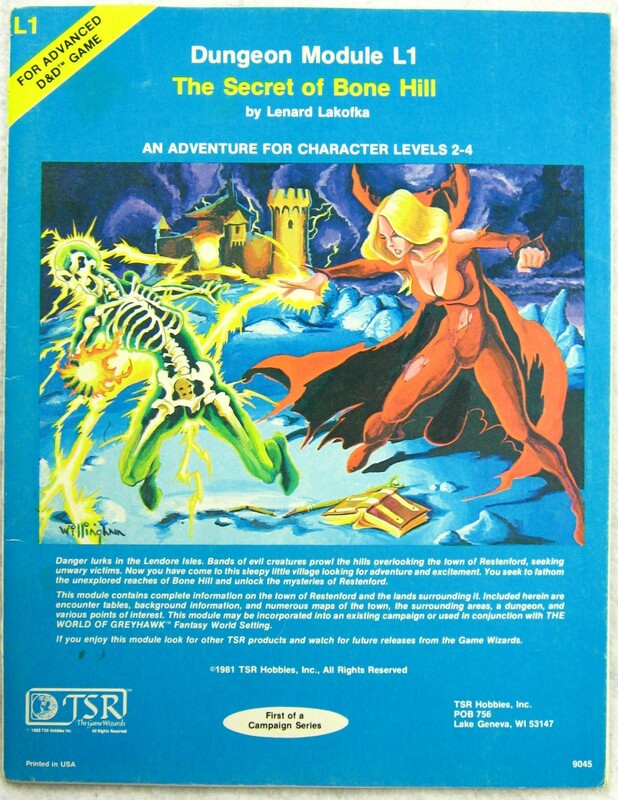 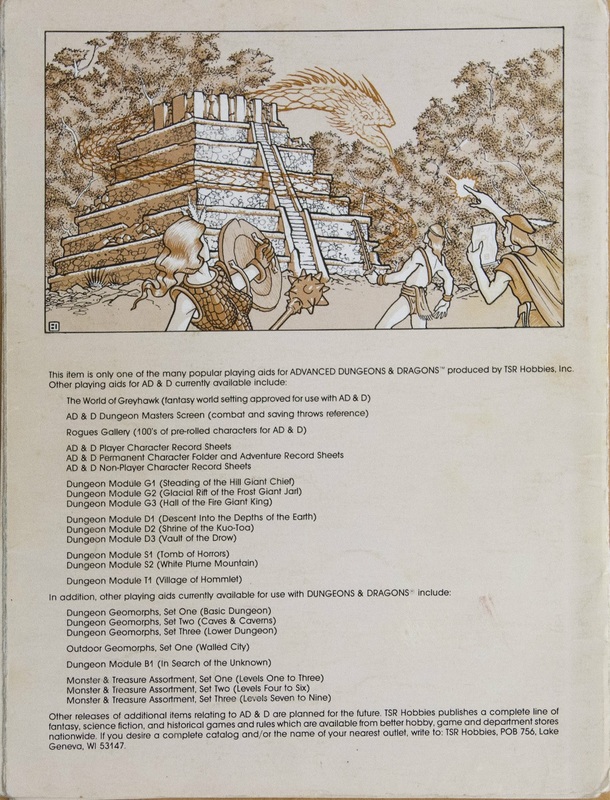 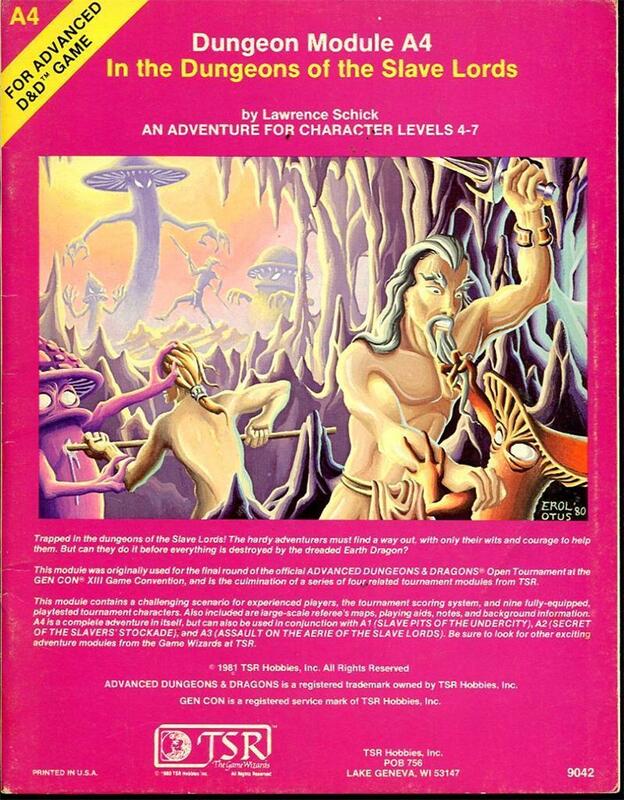 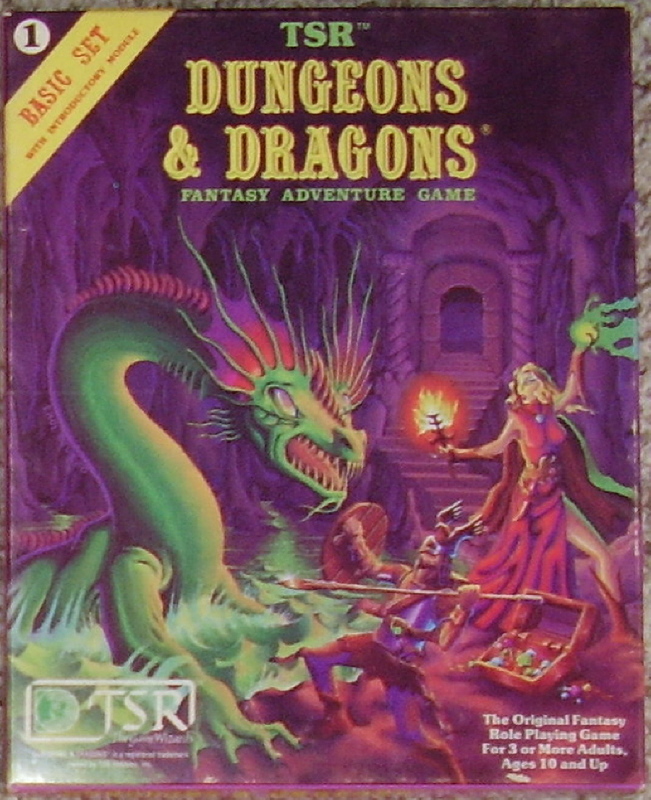 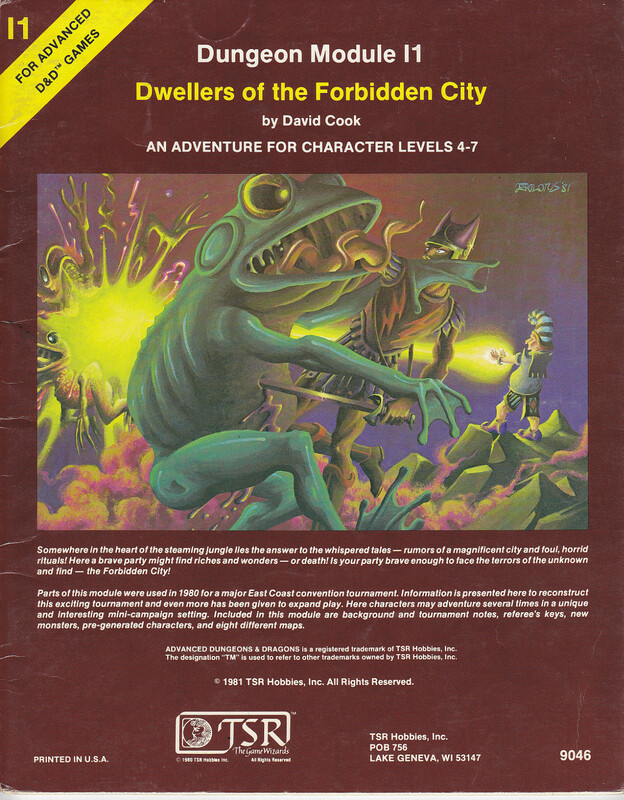 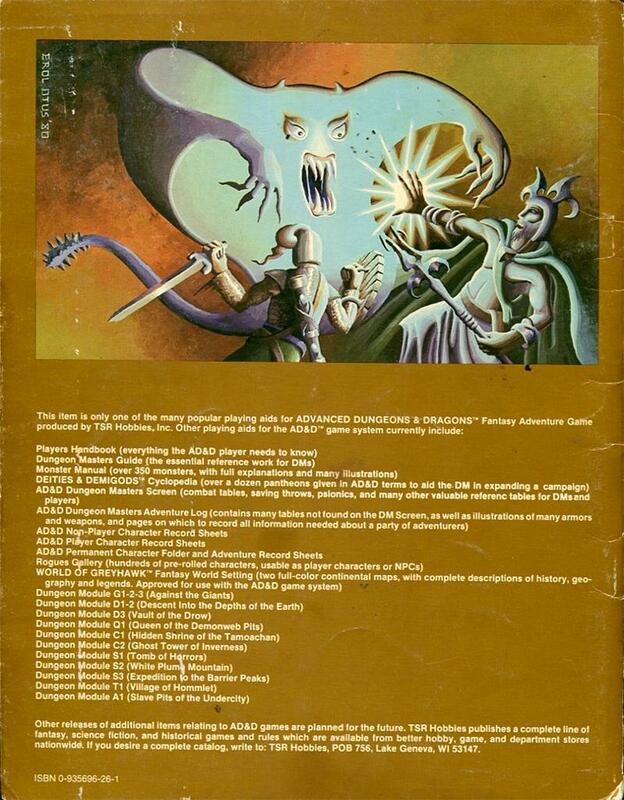 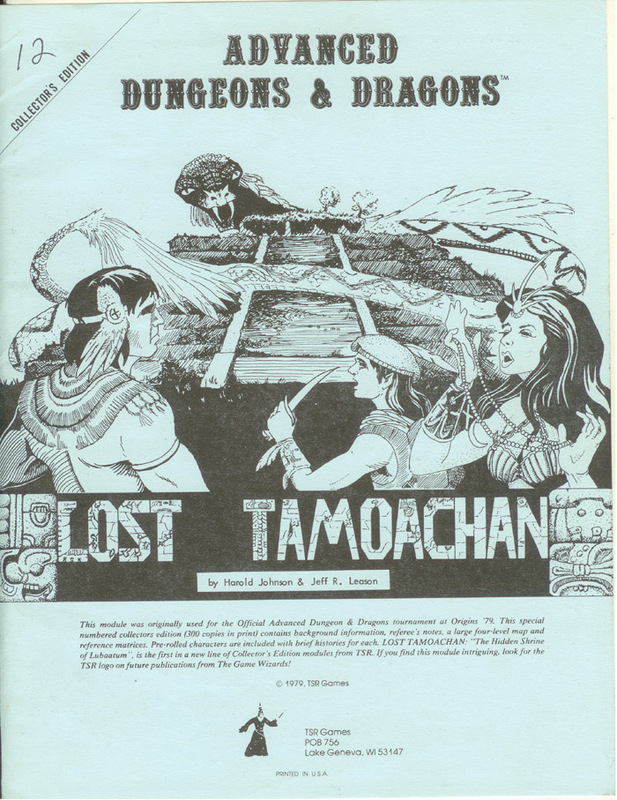 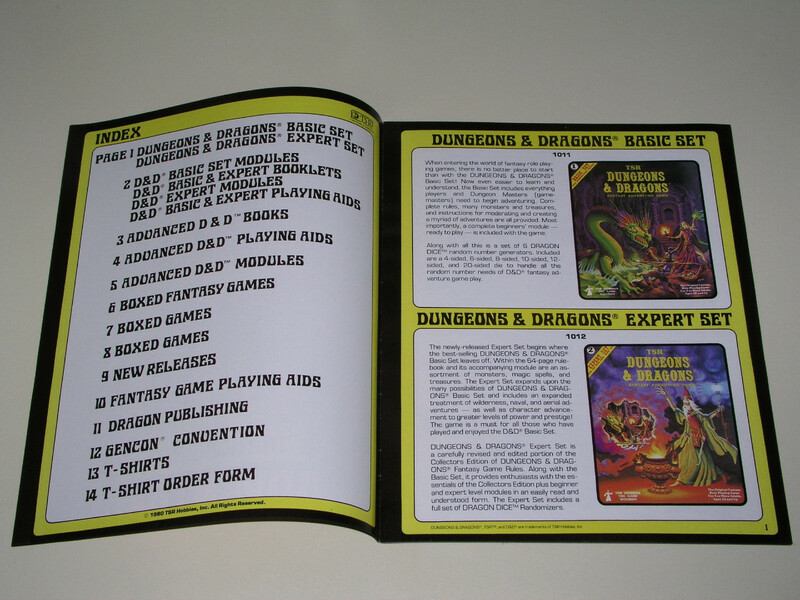 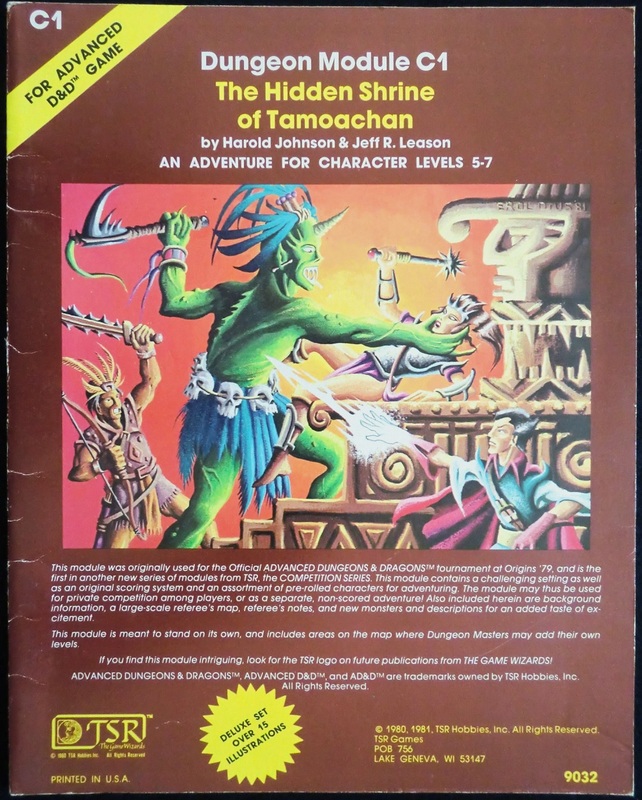 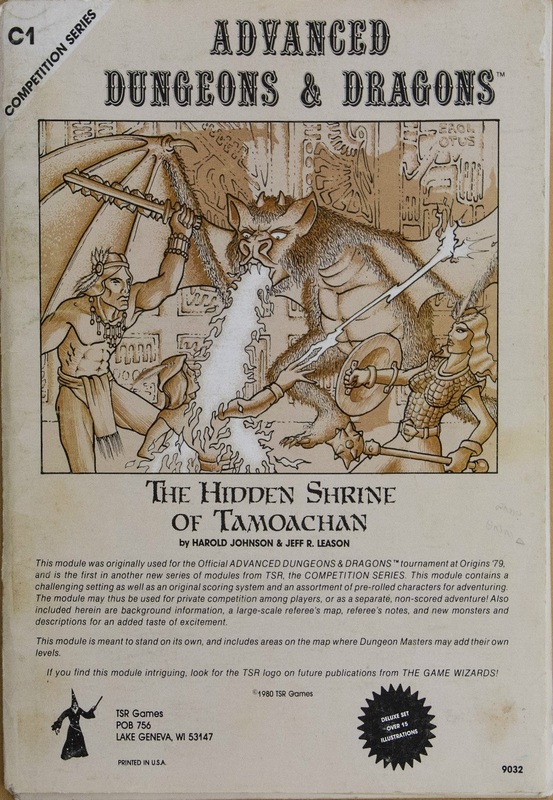 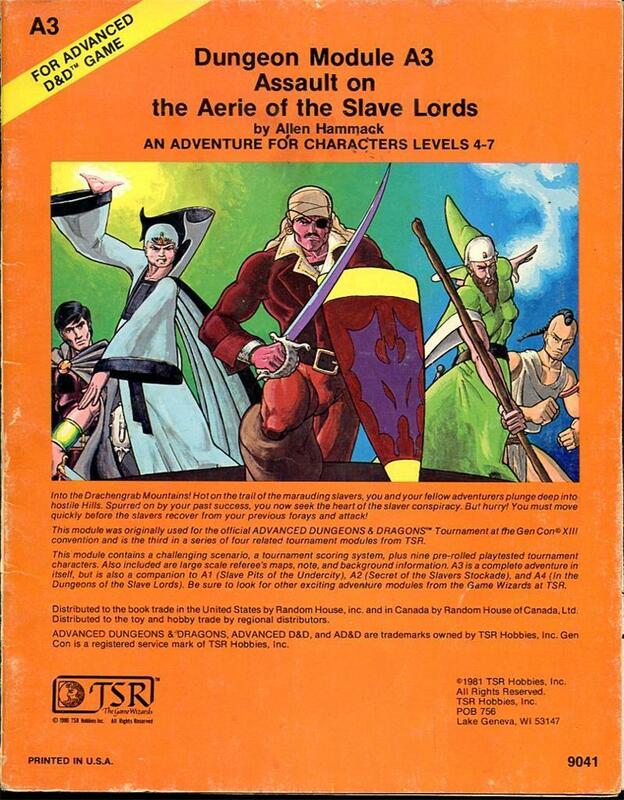 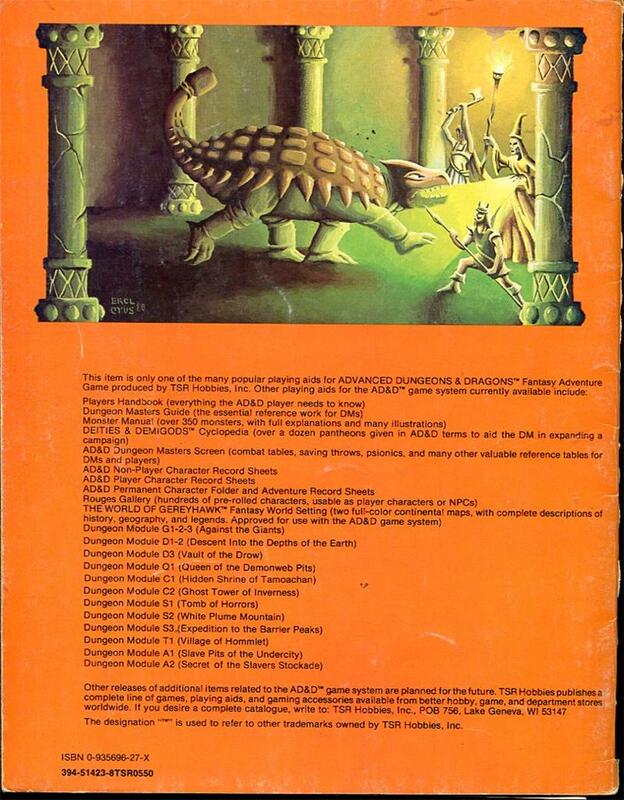 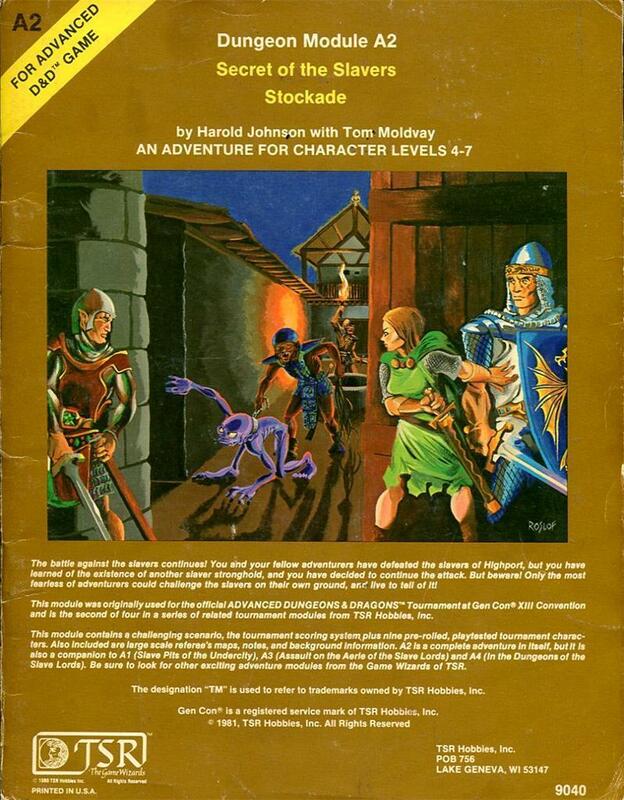 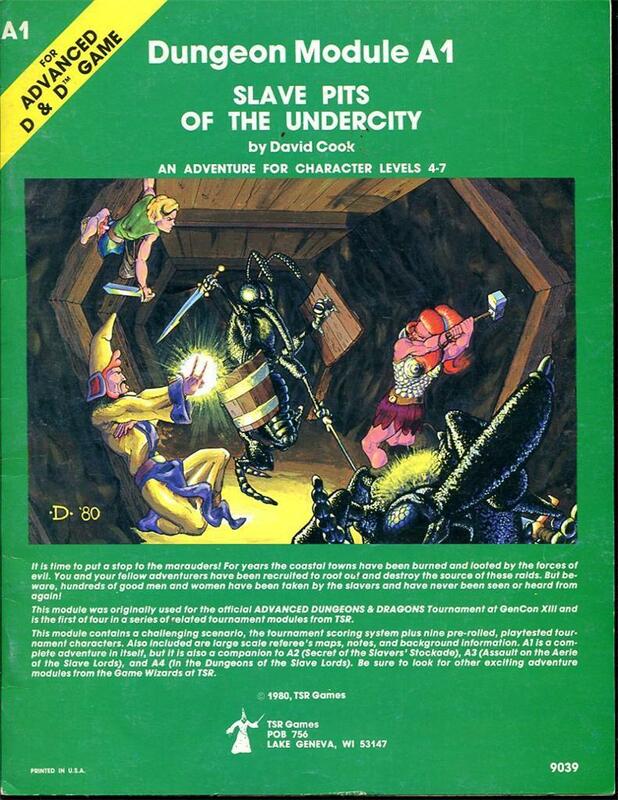 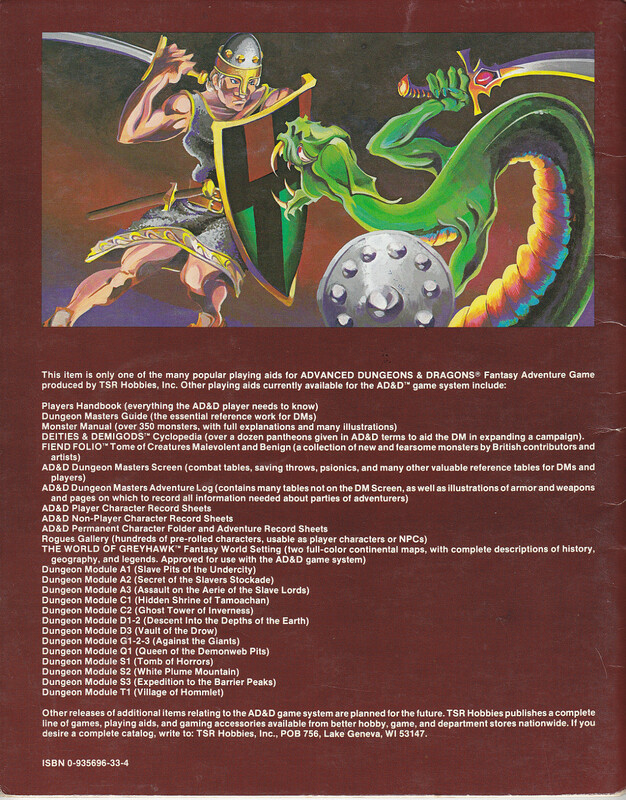 The D&D Basic Set advertised in the catalog is the just released 1981 edition, written by Tom Moldvay with cover art by Erol Otus. 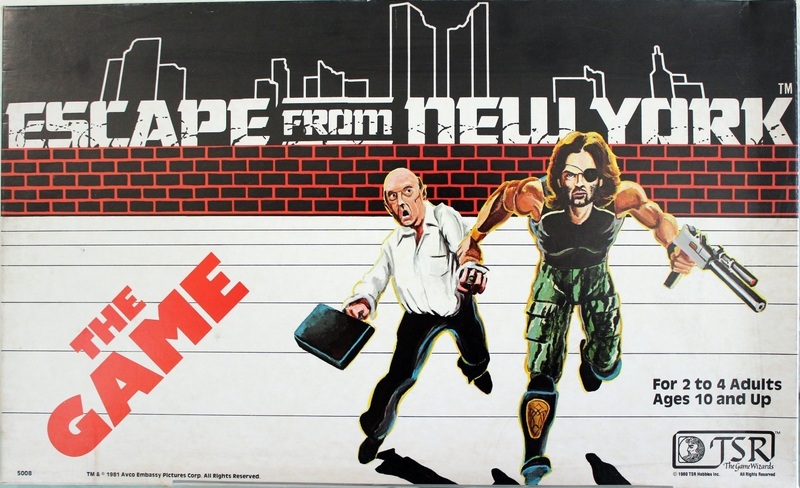 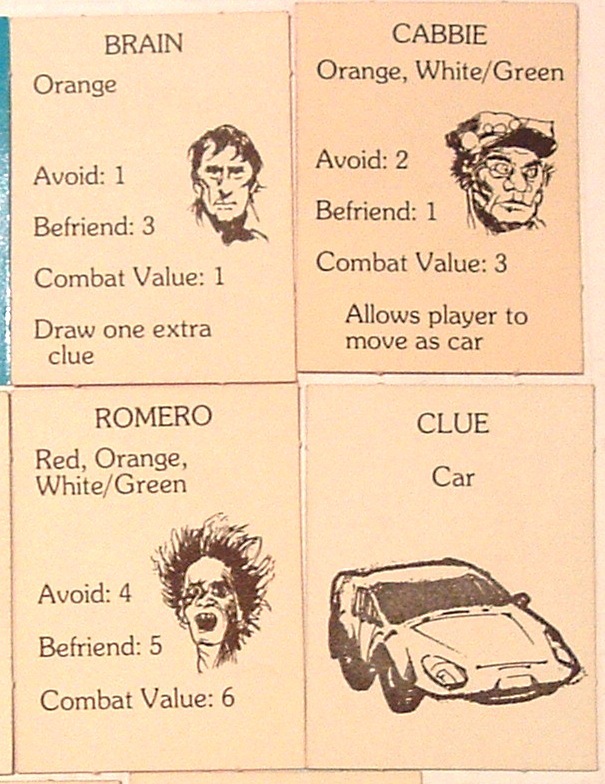 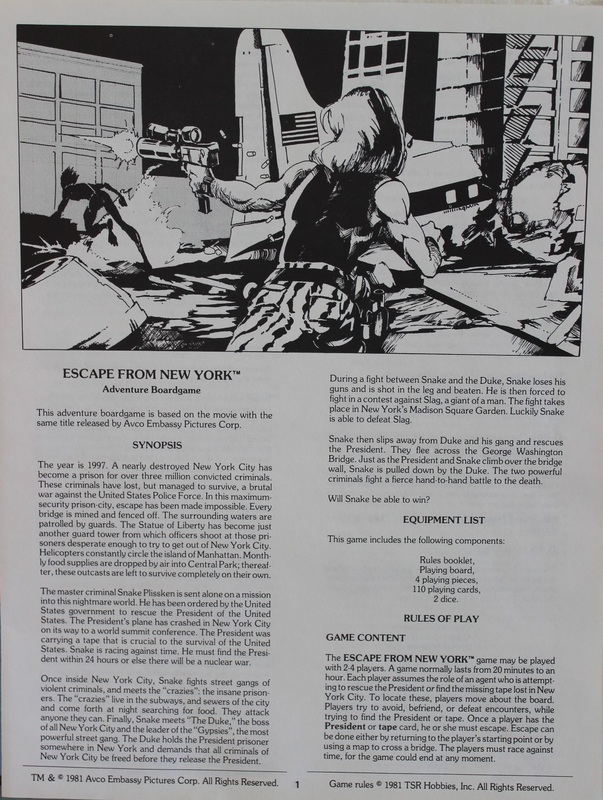 The images on the t-shirts on the top left are from Sutherland’s cover to the original Basic Set—written by M.D. 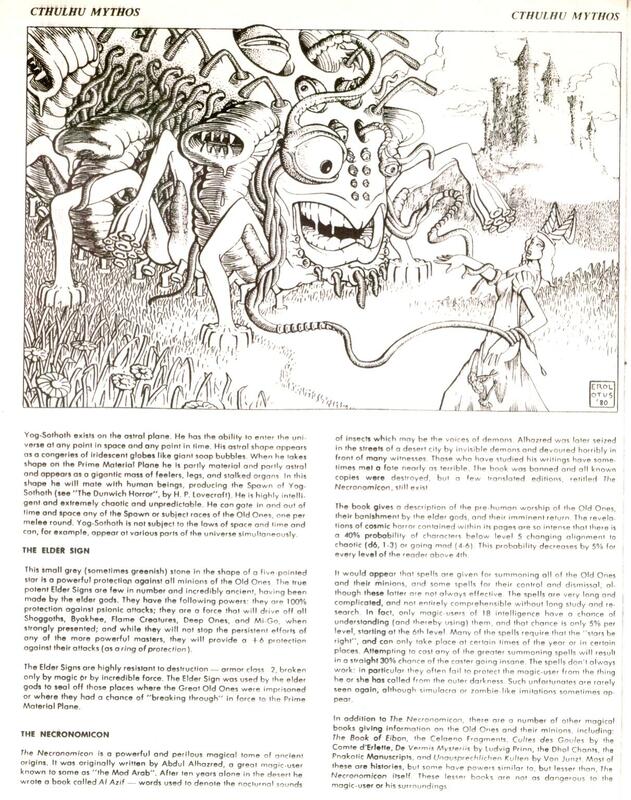 and fantasy writer-promoter John Eric Holmes—from 1977. 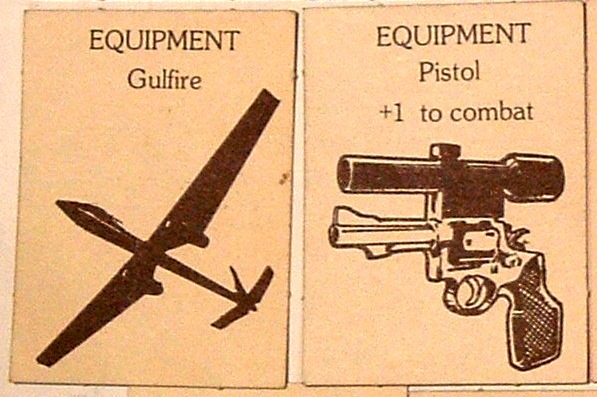 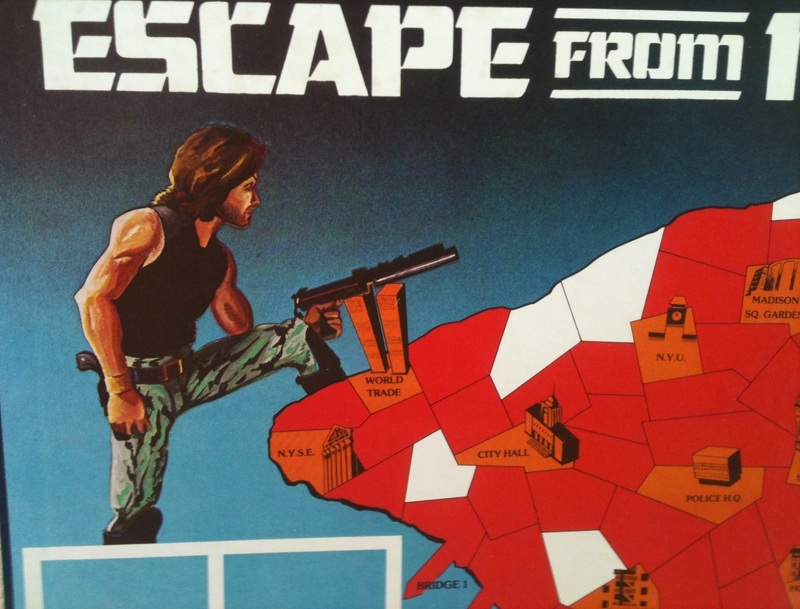 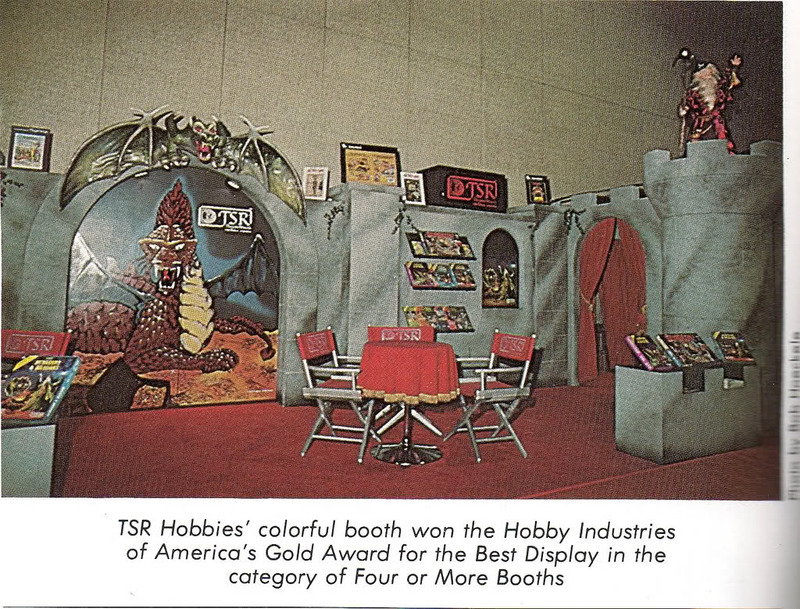 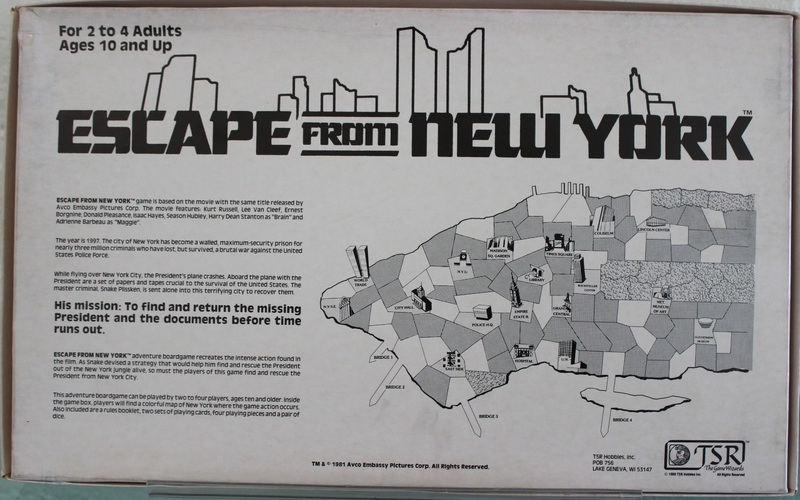 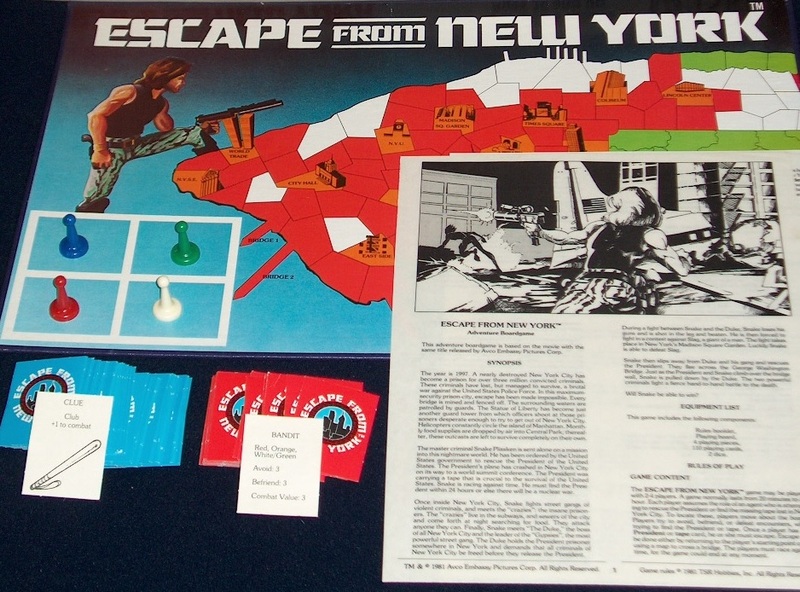 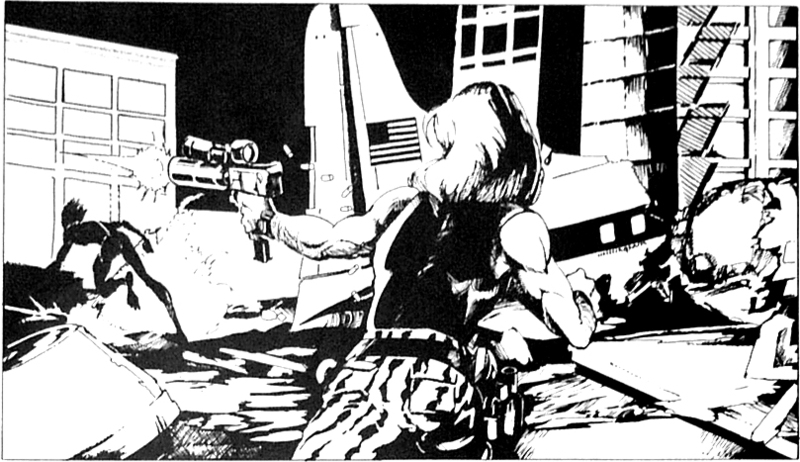 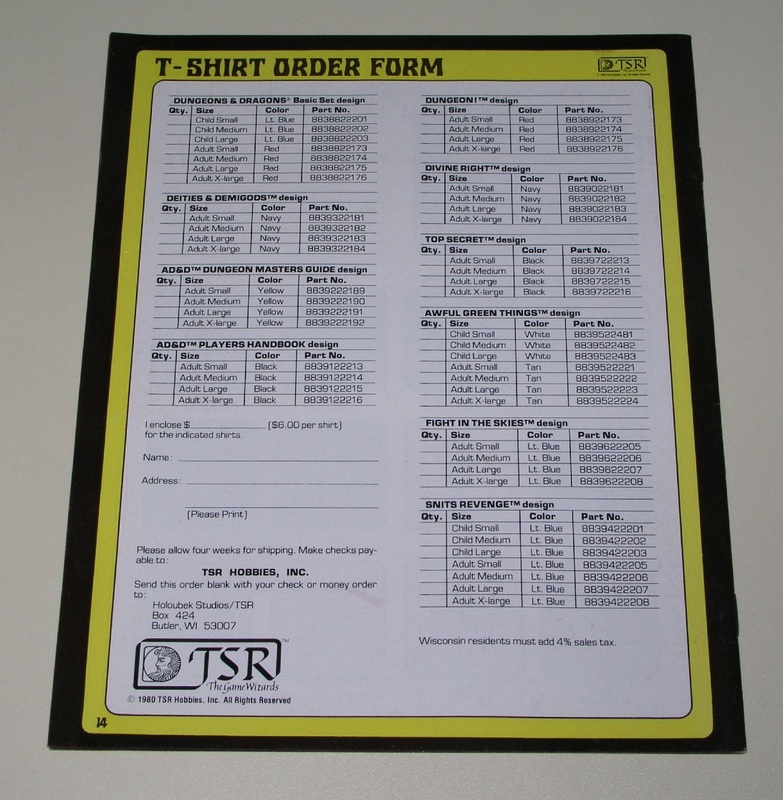 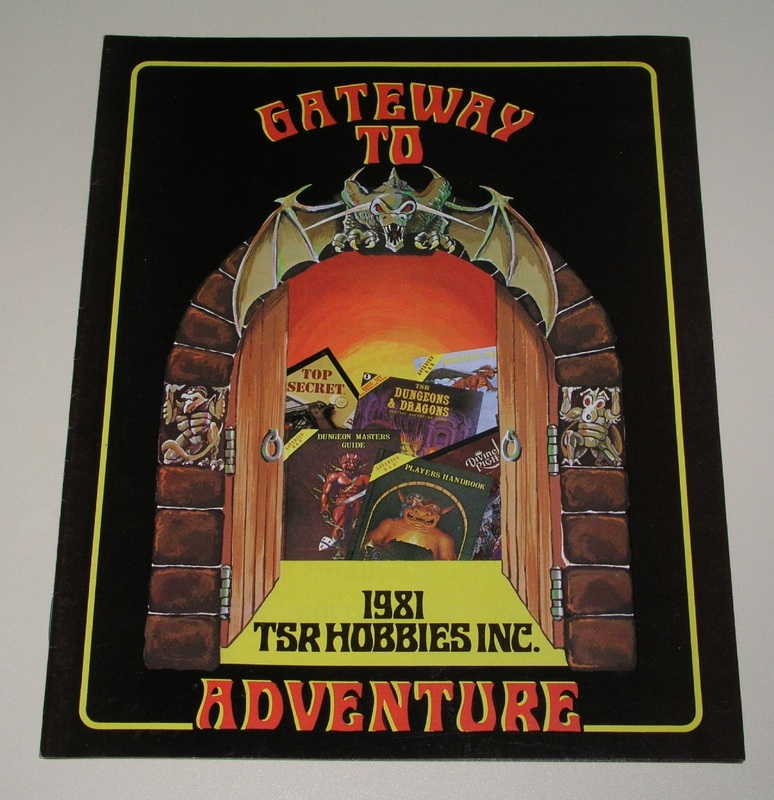 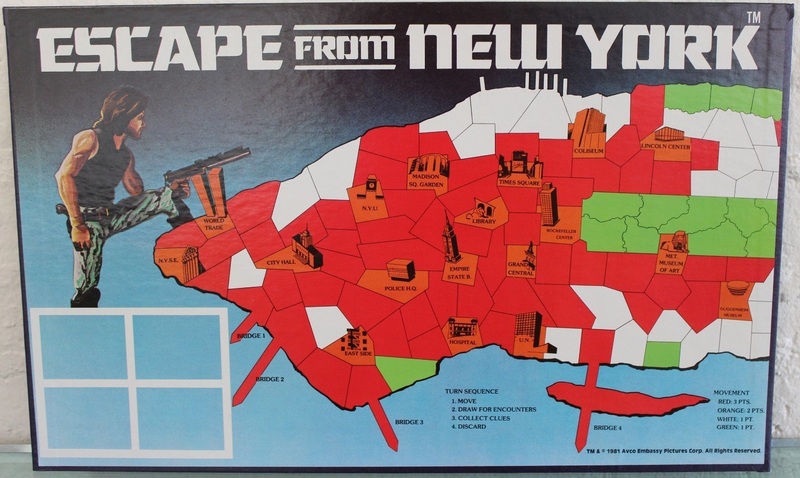 It’s from the magazine Games Merchandising (a retailer magazine), and shows the TSR booth at the Hobby Industry of America (HIA) 1981 trade show. 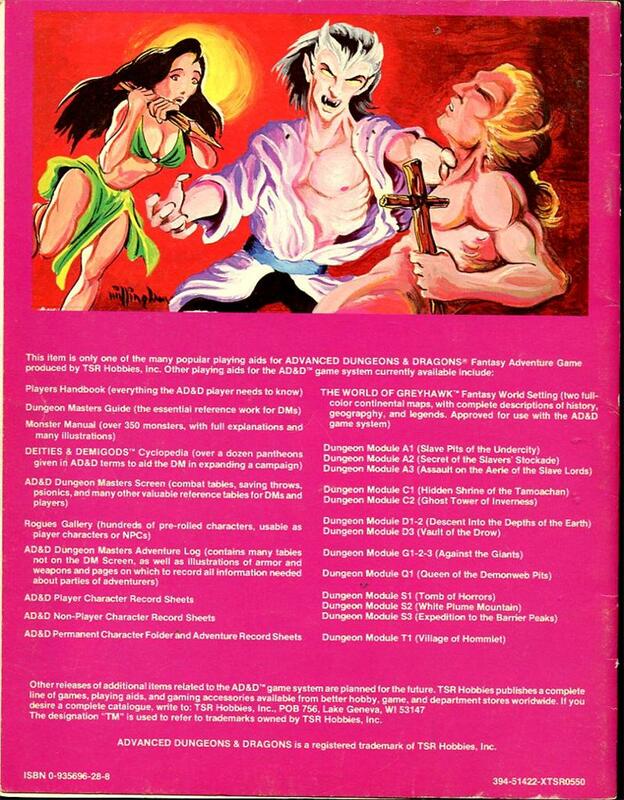 Dig the red Face logo chairs!